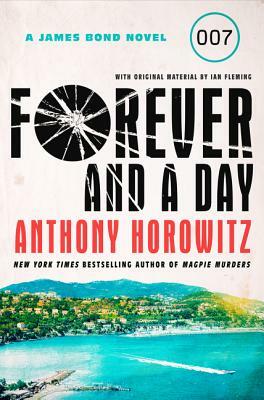 Forever and a Day is the story of the birth of a legend, in the brutal underworld of the French Riviera, taking readers into the very beginning of James Bond’s illustrious career and the formation of his identity. It’s time for a new agent to step up. Time for a new weapon in the war against organized crime. It’s time for James Bond to earn his license to kill. The versatile Horowitz has written authorized books about Sherlock Holmes and others, and here spins a fragment of Fleming’s writing into a splendid prequel to the Bond canon. Horowitz’s trademark is a kind of gorgeous competence; a reader always feels utterly secure in the credibility of his narratives, however outlandish they get. Here, again, he handles a complicated plot with aplomb (and blessedly few explosions). Does he find a human being inside James Bond? He tries, and Sixtine is one of the best Bond girls ever written.